Do you need free CAD software or 3D modeling tool? But you’re not quite sure what you need? Here you can learn the basic terms to make a smart choice. Also, we have compiled a comprehensive list of the best free CAD software on the market. CAD software is an important tool for professional architects, engineers, animators, and graphic designers. With the proliferation of open-source projects, free CAD software and 3D graphics tools are in many cases no less sophisticated than its commercial counterparts. But given the many differences between these programs, it can be difficult to choose the right one. This selection is divided into three sections: The best free CAD software for beginners, intermediate users, and advanced users. You’ll find that some of the CAD software tools listed here are only free for select groups, such as students and educators. Others offer free versions that are limited and require a paid subscription to access additional features. Lastly, keep in mind that the following list is organized alphabetically, not by ranking or popularity. 3D Builder is a dedicated free CAD software app for 3D modeling and printing that is available for desktop PCs and other Microsoft platforms (Windows Mobile, Xbox One, and Windows Hololense). Similar to Autodesk’s Gallery, users can download the 3D models created by others to modify and 3D print them. Using the touchscreen interface with gestures, editing and tweaking 3D files is quite an immersive experience. The integration into the Windows phone has another perk: The free CAD software as a mobile app also enables the user to scan objects and convert them into 3D files using the device’s camera. Simply take a series of photos of the object from several angles, and images are stitched together to recreate the object as a 3D model. 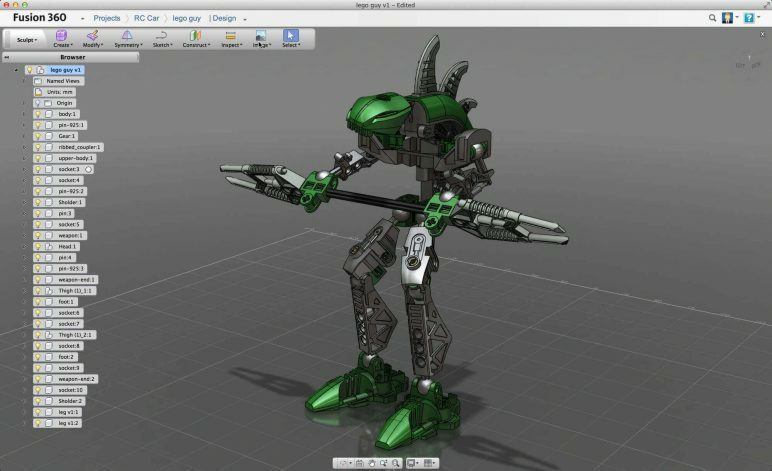 Geared toward 3D modeling and animation, 3D Crafter is unique in that it incorporates a drag-and-drop approach, greatly simplifying what can oftentimes be seen as a difficult art. 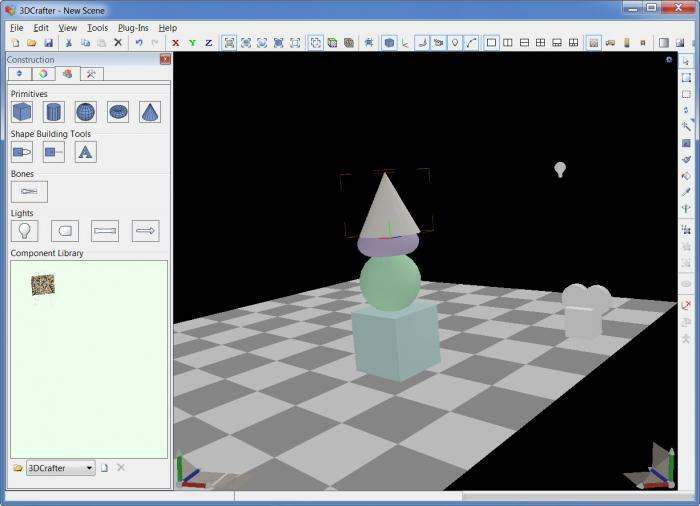 Using Shape Building Tools, users are able to create complex models from basic 3D primitives, which can then be deformed, sculpted, and painted. Not only can you generate 3D designs on this platform, but you can even create an animated scene by just positioning the shapes from frame to frame. This software tool will help to ensure that the 3D model is properly animated, and can then be distributed once exported into an AVI file. The free version of 3D Crafter is fully functional, and according to the creator amabilis, is ideal for entry-level designers interested in making detailed 3D objects or low-polygon models for game development and animation. Looking for something different than your run of the mill free CAD software? Conventional tools like extrusion, revolution or sweeps are not part of the 3D Slash. Instead, this 3D CAD software is centered around the cuboid, a solid block that can be subdivided into smaller blocks of identical size. Just think of Minecraft, and you’ll get the idea. Users create their 3D designs by working the cuboid with an array of tools that will not be familiar with most other 3D CAD software: hammer, trowel, chisel, pulpwood, and drill. Thus, you use the hammer tool to remove individual cubes, while the trowel adds cubes and so forth. 3D designing with these tools is easy, even for beginners. With only a little training you can achieve impressive results, like a lightsaber (see our tutorial below). Also, you can import, and modify existing 3D designs. For your convenience, this free CAD software ties in with a range of online printing services, and model repositories. Or you can simply export your 3D design to STL, and print it on your 3D desktop printer. The playful, hands-on approach will be especially gratifying for hobbyists who occasionally want to create their 3D designs without having to master the mysterious lore of conventional free CAD software. In a time when we expect software to anticipate intuitively our actions, the concept of writing 3D objects as code in OpenSCAD exerts a strange fascination. To many who would like to learn OpenSCAD, this 3D CAD software remains steeped in mystery, because of its seemingly arcane and idiosyncratic approach to 3D modeling. 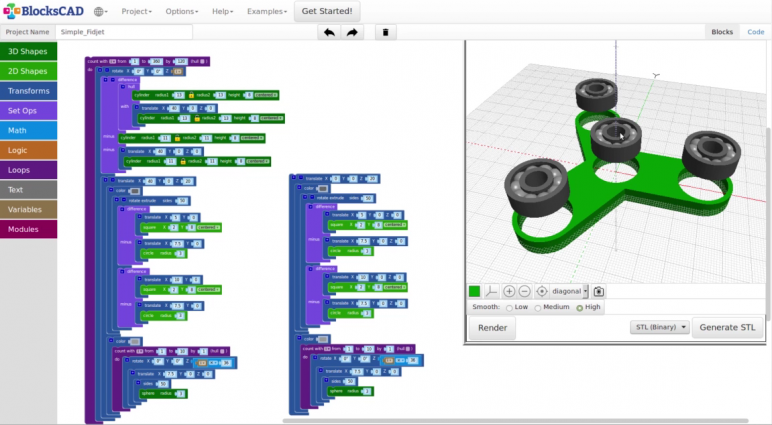 BlocksCAD is a 3D modeling software that was developed to ease kids into using OpenSCAD. Meaning with this program anyone should be able to work with OpenSCAD. The commands denoting objects, transformations etc. are represented by colorful blocks that are stacked together like LEGO-bricks. Once you are satisfied with your work, you render the 3D model to inspect it. The finished design can be saved as OpenSCAD or STL format. Don’t get us wrong, it is still not a trivial matter to model with BlocksCAD. To create a flower pot, for example, you create two cylinder of different diameters and then link them with a subtract transformation. So the program still expects you combine the code blocks in a sensible way. However, with this program you can be sure to create valid OpenSCAD code, because BlocksCAD knows which code blocks are compatible with each other. Along the way, you can easily gain a grasp on OpenSCAD, as you can display the bare code and understand how the changes in your blocks affect the 3D model and the code. Best 3D CAD software for: Kids who want to start 3D modeling – and everyone else who can’t wrap his head around OpenSCAD. Ideal for students who are just getting into 3D modeling, Leopoly offers an easy-to-understand introduction to a rather complex art. Created by ZSpace, This free browser-based platform is meant to help train novice designers in how to create, customize, and prepare 3D models for 3D printing. To be fair, Leopoly is more of a 3D sculpting tool than hardnosed CAD, but for an entry-level program, it does a fine job of showing newbies what is possible in the realm of 3D creation. Users can take a ball of clay or pre-defined shapes and modify them with a variety of tools, including sculpting, painting, embossing and more. 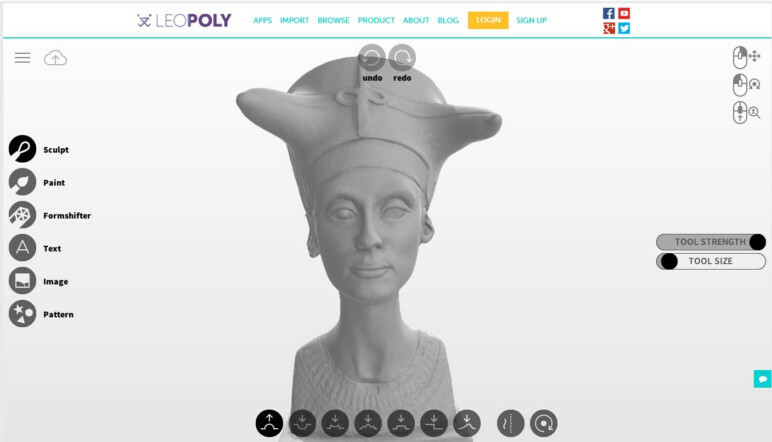 From the Leopoly interface, the 3D models can be sent directly to the 3D printer. The platform is one of many created for educational purposes by the ZSpace team, and there’s even a curriculum to guide students through the basics of 3D modeling. Best free CAD software for: Students and beginners looking to get started in the world of CAD. LibreCAD is an open source free CAD software. It contains basic tools you will need to model and modify your designs. Since LibreCAD displays only 2D views, it has a slim file size of only 30 MB. But not to worry, it can display isometric views. Though the free CAD program satisfies common drawing needs, the functionality will not overwhelm you, unlike other free CAD software. LibreCAD’s UI is uncluttered, and overall the free CAD software is suitable for beginners. 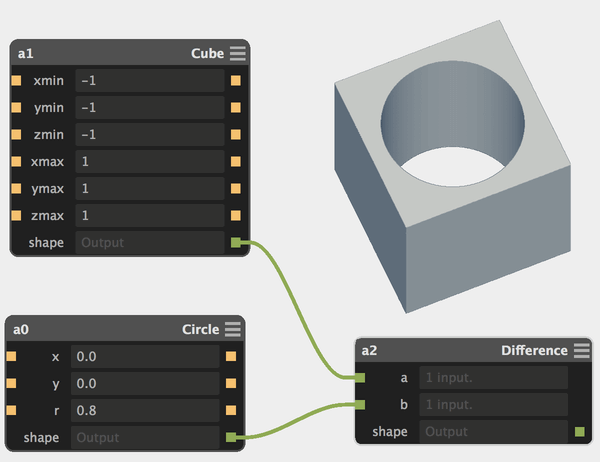 With a tool-set that is reminiscent of Minecraft, MagicaVoxel is an easy-to-use, free CAD software. The smallest unit within the program is the eponymous voxel, a block that is used to create stunningly sophisticated designs. Users will easily find their way around the clearly arranged user interface. To the left, are rows of color palettes used to paint voxels in the absence of traditional textures. Palettes can be custom defined or loaded into the free CAD software. Next to it, a small range of render settings ensures quite memorable results. The viewport is found at the center. To ease the 3D modeling workflow, brushes and patterns consist of voxels are predefined. Working with the tools in MagicaVoxel takes some getting used to, as you choose between modes that affect only the surface of a mesh, select layers or penetrate the volume of a mesh. 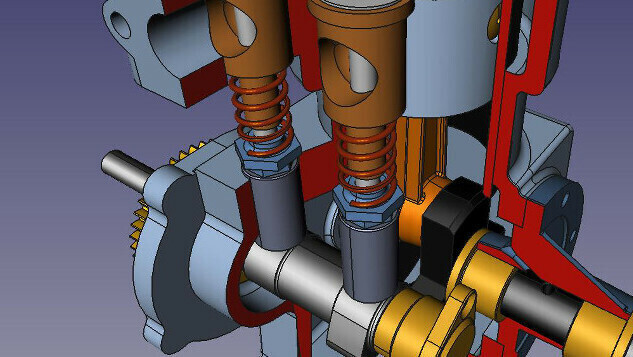 The consequences of these techniques are as far-reaching as many sophisticated tools in traditional 3D CAD programs. As users who have taken to them no longer depend on assembling complex designs voxel by voxel, but can sketch them out quickly and efficiently. With games like Monument Valley and Minecraft voxel designs have become very popular. 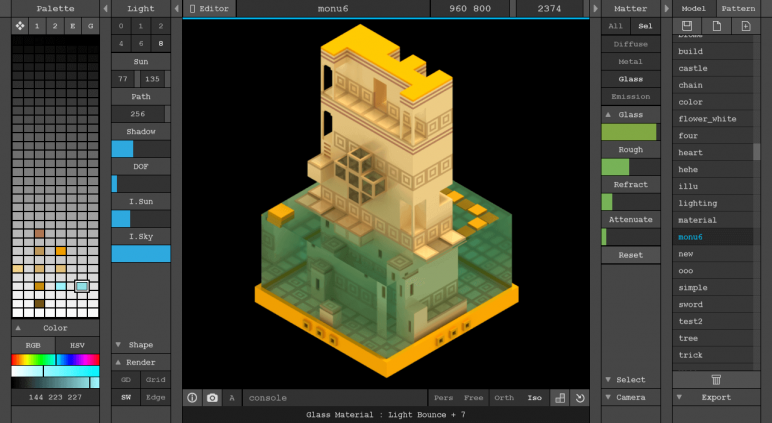 Free CAD software like MagicaVoxel is a brilliant choice for creating 3D voxel art for use in games or illustrations. An alternative approach to traditional 3D modeling is 3D sculpting. Whereas some commercial options on the market have pretty steep learning curves, the free CAD software SculptGL will go easy on you. It includes only the basic tools necessary and allows you to give you a sense of the sculpting workflow. What is more, you can have all that in the comfort of your web browser. As in more advanced sculpting tools, the main concept is that you don’t try to create a high-resolution mesh right from the start. Instead, you build up levels of details step by step. The groundwork is always to define the silhouette (arms, heads, limbs) in very broad brushes. From there you can switch to smaller brushes, and sculpt large details, pronounced muscles, fingers, and the like. Only then should you add intricate details like wrinkles or scars using finer brushes. This being a free CAD software, the number, and complexity of objects are limited to the minimum. For anyone just curious about 3D sculpting, SculptGL is a great opportunity. If you want to level up, you should give Sculptris a try. 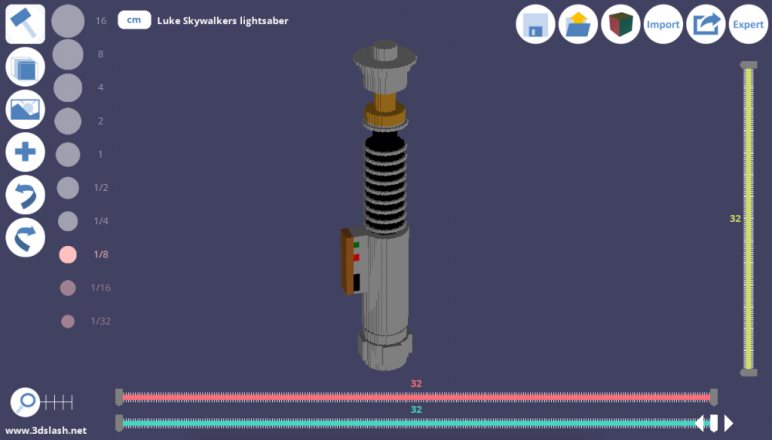 Now owned by Autodesk, TinkerCAD is a free 3D CAD software that runs in your browser. Using basic modeling operations, TinkerCAD allows you to join these primitive shapes complex objects. But there is more to TinkerCAD, the functionality extends to joining, and subtracting shapes. 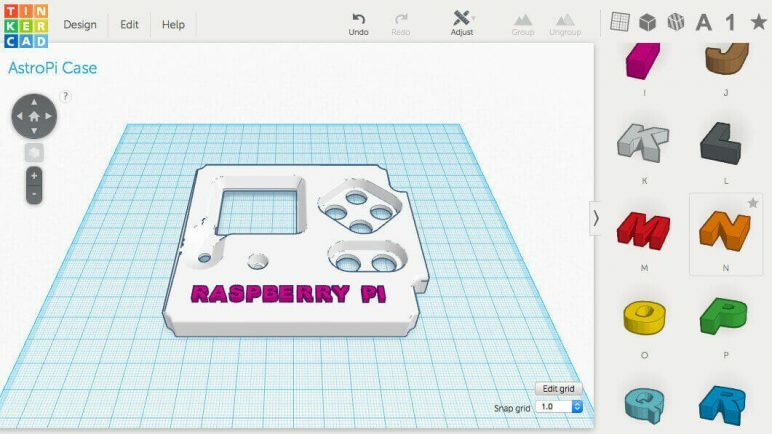 After mastering these basic techniques, even newbies to CAD software can produce impressive results like Raspberry Pi cases in no time. If you are looking for a tool to get your feet wet, you will love TinkerCAD’s intuitive approach to common concepts, and tools in the free CAD software. It also can be used for laser cutting. Written in Erlang, Wings 3D major strength lies in its advanced subdivision. The intuitive user interface will make anyone a 3D modeler in no time. In addition to standard tools like move, scale, extrude etc., the free CAD software features advanced tools such as sweep, plane cut, bend, shear, and inset. 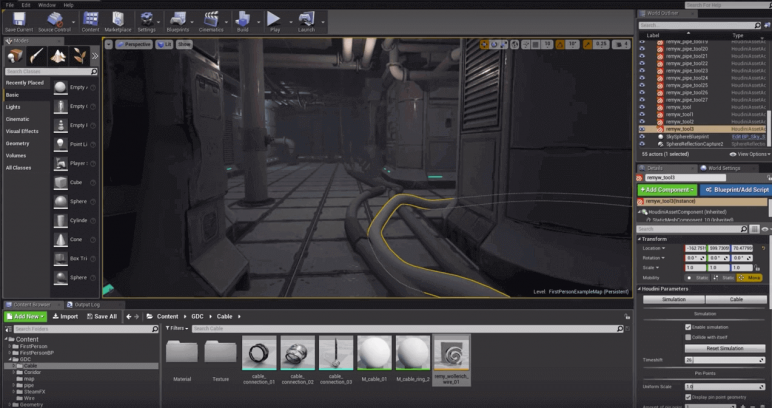 The other big selling point is its AutoUV facility, that allows you to export an unfolded image of your model’s surface for painting and texturing. Wings 3D’s range of features is exactly right for beginners who don’t want to get overwhelmed, and yet get a thorough foundation in 3D modeling. Antimony is the sort of free CAD software you should give a try, in case you are in need of a fresh perspective on parametric 3D modeling. It’s basically the love-child of a 3D designer and a programmer. In Antimony, every mesh is broken down into the smallest logical components, primitive shapes and transformations (boolean and other) that allow you to generate complex objects by joining or subtracting them. Unlike other similar CAD programs like OpenSCAD, that tend to frighten away beginners with long code documents, The workflow of this free CAD software is much more intuitive. The user connects nodes that define shapes and transformations in graphs. 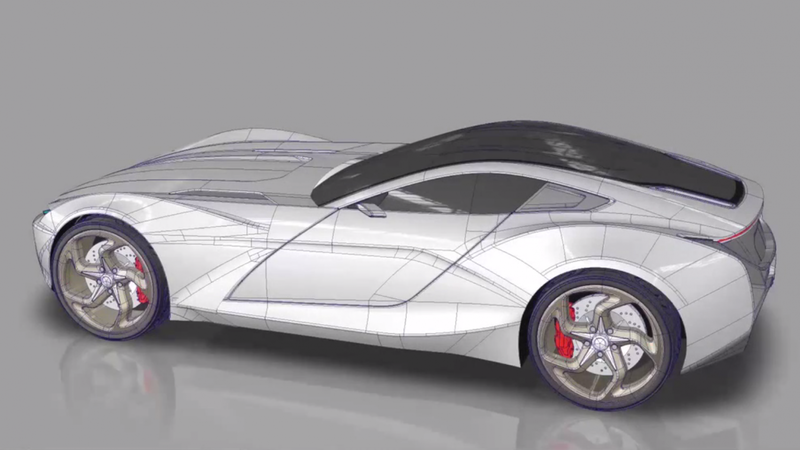 The nifty modeling workflow is suitable for most seasoned designers. In case the built-in shapes don’t cover all your needs, it is possible to define custom shapes. However, this is not down everybody’s alley, as Antimony represents shapes with a prefix string syntax. 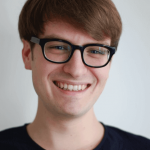 The free CAD software was conceived of and is maintained by Matt Keeter, an engineer with the 3D printer manufacturer Formlabs. Take note that as of summer 2017, Antimony was in beta mode and is not recommended for critical work. We look forward to seeing major software publishers picking up the innovative ideas of this free CAD software in their products. Popular amongst the RepRap community, Art of Illusion is a free and open-source 3D modeling and rendering tool that is relatively easy to use but still packs an industrial punch as far as features are concerned. 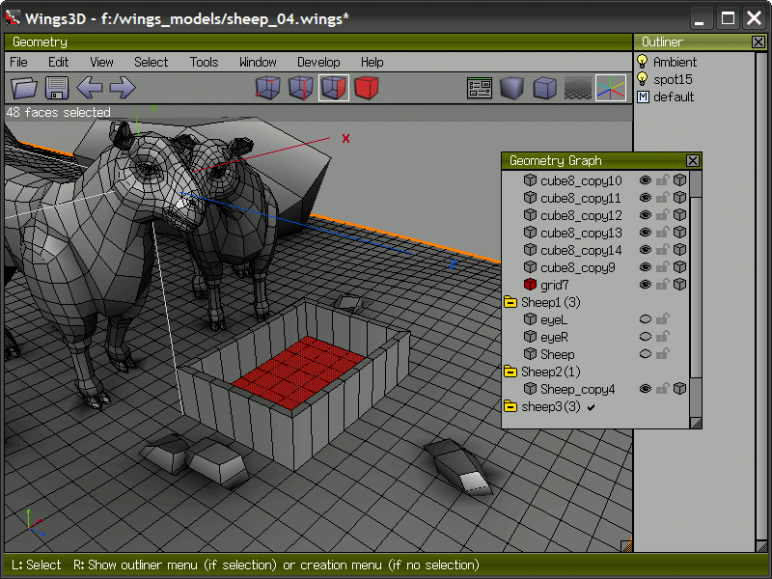 The software includes subdivision surface-based modeling tools, skeleton based animation, as well as a graphical language that enables the creation of procedural textures and materials. Ideal for both beginners and experienced users alike, this tool is both intuitive and surprisingly powerful, making it comparable to commercial counterparts that typically cost a pretty penny. Best free CAD software for: Intermediate users looking for a free alternative to 3DS-Max or Maya. DraftSight is a free CAD software from Dassault Systèmes, the publisher of industry giants such as CATIA, and Solidworks. Thanks to its clear user interface, anyone can learn the program quickly. 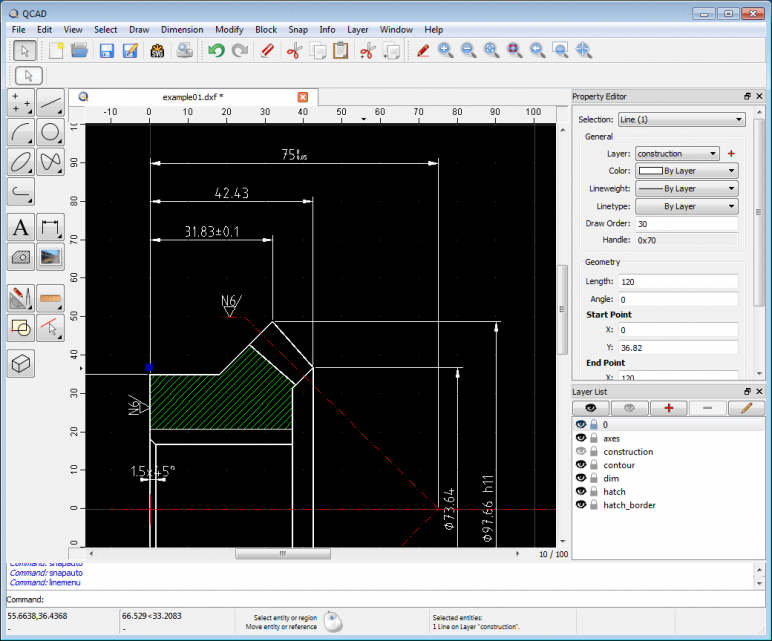 DraftSight has all the necessary tools to create 2D technical drawings. The elements of designs are stored in layers, enabling accurate revisions. Designs can be exported to PDF for use as construction sheets. Dassault Systèmes offers support for users of the free CAD software. Among many other features, the professional version of DraftSight can compare designs, and display the differences, append PDFs to the project file, and add standard hardware symbols to your design. Published by an online CNC milling and 3D printing service, eMachineShop is a 2D/3D free CAD software. That’s why you can order parts directly from within it. eMachineShop is comprehensive enough for advanced designers and simple enough for beginners. In terms of drawing, the free software brings all the standard features you could expect from true-blue CAD tool, like chamfering or sheet metal bending. However, in case you have no prior experience, use one the handy design wizards to design flywheels, heatsinks, hex nuts, front panels, and more pre-drawn parts. But eMachineShop can do even more for you. 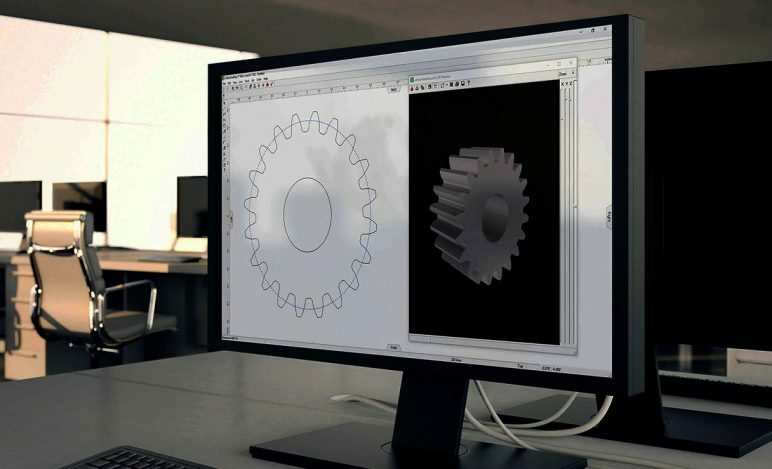 The free CAD software continuously analyzes your design and alerts you to impractical design features, non-manufacturable parts, and high material cost. Best free CAD software for: Intermediate users who appreciate some assistance. Being an open source, its feature set is oriented towards the community. So be prepared that FreeCAD can be a bit overwhelming at first. But if you make an effort to dig deeper into the free CAD software, you will be rewarded with an awesome set of features. The FreeCAD software offers a modular architecture that allows plugins to be mounted to the core application. It also offers a Sketcher with constraint-solver, allowing you to sketch 2D shapes; a robot simulation to study robot movements, and a Path module dedicated to mechanical machining like milling (CAM), and can output, display, and adjust G code. Best free CAD software for: Enthusiasts who are willing to dig in a mighty feature set. Fusion 360 is a professional 3D CAD software by Autodesk. Unlike other professional solid-body 3D modeling software, this CAD program is strong in usability. Still, it covers the whole process of planning, testing and executing a 3D design. 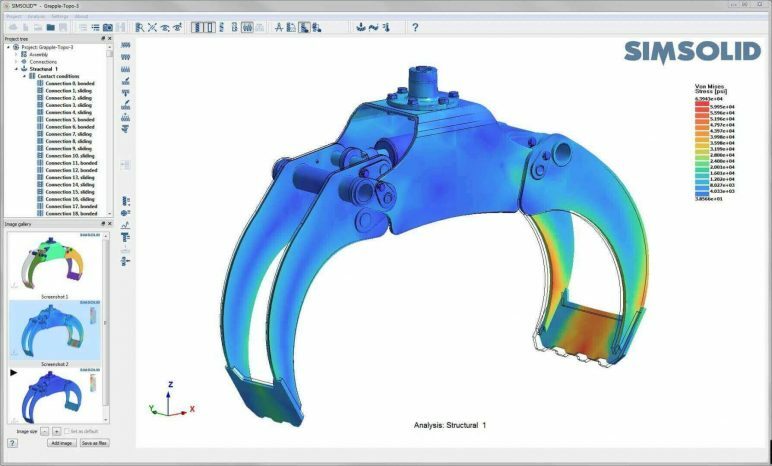 It has powerful parametric tools and analytic mesh tools that are well-suited to most challenges in industrial design. Moreover, it is able to simulate both the construction of the components designed as well as the stresses they will face once they are put to their use. Fusion 360 is also set apart by its sophisticated collaborative features. It supports cloud-based file sharing, version control and import/export of common CAD file types. The self-described “Swiss Army Knife” for 3D meshes is Meshmixer has a clear emphasis on the mechanical functionality of 3D designs. 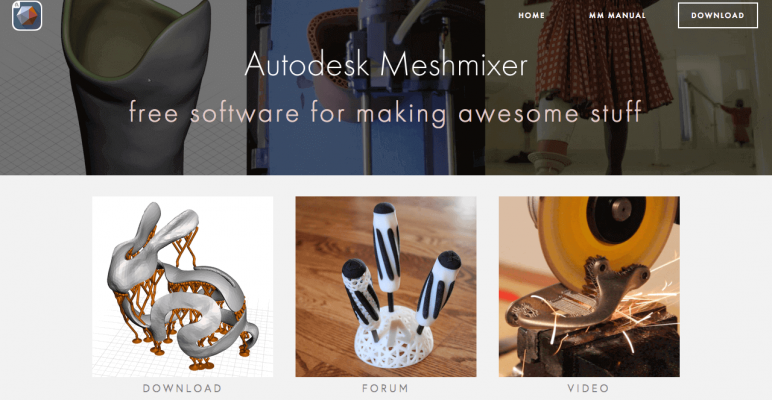 Meshmixer is designed to prepare meshes for 3D printing. 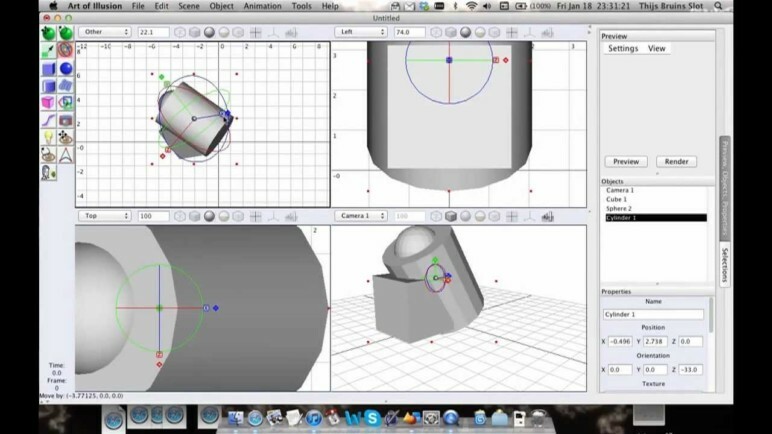 For instance, Meshmixer is used to model solid prosthetics with mechanical parts. Moreover, this 3D modeling software provides some pretty sophisticated optimization techniques usually found in industrial grade programs: You can slim down unwanted mass from a 3D design, and thereby reduce the cost of printing significantly. It also allows you to automatically generate joints connecting different parts into one single device. Also, this free CAD software has repair capabilities like hollowing, scaling, and mesh simplification making it invaluable for 3D printing. This rich feature set makes Meshmixer a tool for advanced users, but if you are looking for one of the best free CAD software tools that seamlessly blends into the Autodesk product family, look no further. QCAD is an old school 2D free CAD software, that is partly inspired by AutoCAD. So it is mostly geared towards technical drawing. As the user interface is remarkably neat, and clean, even beginners will find their way around this free CAD software quickly. The modeling tools include NURBS, and Polylines. For more intricate work, you can switch into an isometric view. Also, the QCAD Library browser brings you more than 5000 CAD parts available as free add-ons (e.g. screws, nuts). Though the free CAD software is released under Open Source license, AutoCAD DWG export is only available as a commercial plugin. Sculptris is a free 3D sculpting program by the same developers as ZBrush. It has similar, though fewer features than ZBrush. Even beginners can grasp the basic techniques of Sculptris quickly, and produce printable models. As in more advanced sculpting tools, the main concept of this free CAD software is that you don’t try to create a high-resolution mesh right from the start. Instead, you build up levels of details step by step. The groundwork is always to define the silhouette (arms, heads, limbs) in very broad brushes. From there you can switch to smaller brushes, and sculpt large details, pronounced muscles, fingers, and the like. Only then should you add intricate details like wrinkles or scars using finer brushes. If you want to get your feet wet in 3D sculpting, Sculptris is a great free CAD software option. 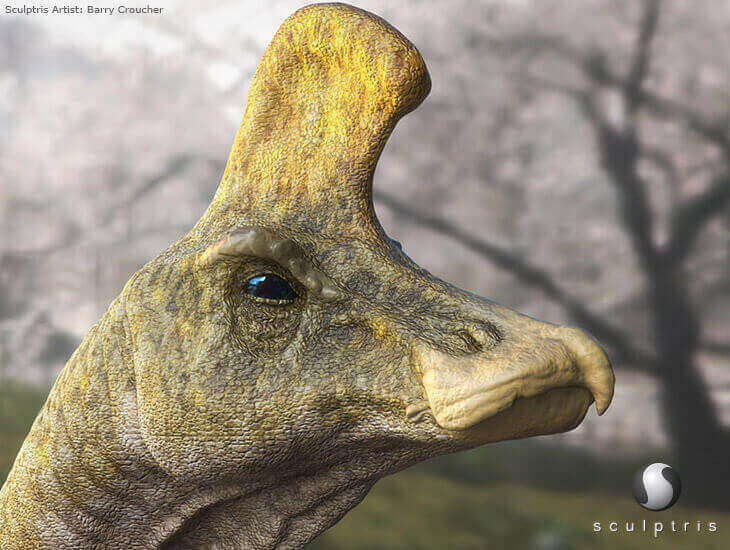 For more ambitious sculpting projects take a look at ZBrush or Mudbox. SelfCAD is the self-proclaimed “leader in online 3D modeling and slicing software”. Indeed, this 3D CAD software packages the complete design-to-print workflow in one neatly presented bundle. At its core SelfCAD features a robust 3D CAD application that allows for the design of complex and 3D printable objects. An intuitive GUI and TinkerCAD-level of simplicity in the way tools work and manipulate your designs mean that virtually anyone can dive in and start creating. You can also load in a flat image to serve as a template to your workings, so a reference is always at hand. In addition, this 3D CAD software comes with generators, so there is no need to model complex structures, like screws, nuts, and spirals from scratch. But perhaps the defining proficiency of SelfCAD as 3D CAD software is its ability to prepare models for 3D printing, even taking the job as far as slicing and piping the g-code directly to your computer. A host of predefined RepRap 3D printers are available from a drop-down menu, but you can enter the specifications for any model that is not included. In case you always wanted to have a go at parametric 2D/3D CAD, this free CAD software may be just for you. This capability allows you to easily modify your design by going back into your model history and change its dimensions. Also, its modeling tools include Bezier curves and NURBS surfaces. Another key feature is the simulation of planar or spatial linkages, with a pin, ball, or slide joints. This is invaluable as it will show you possible blockages, and inconsistencies in your designs early in the design process, saving you time and reducing annoyance. 3D printing hobbyists will appreciate the built-in STL repair tool that will make your 3D models printable. 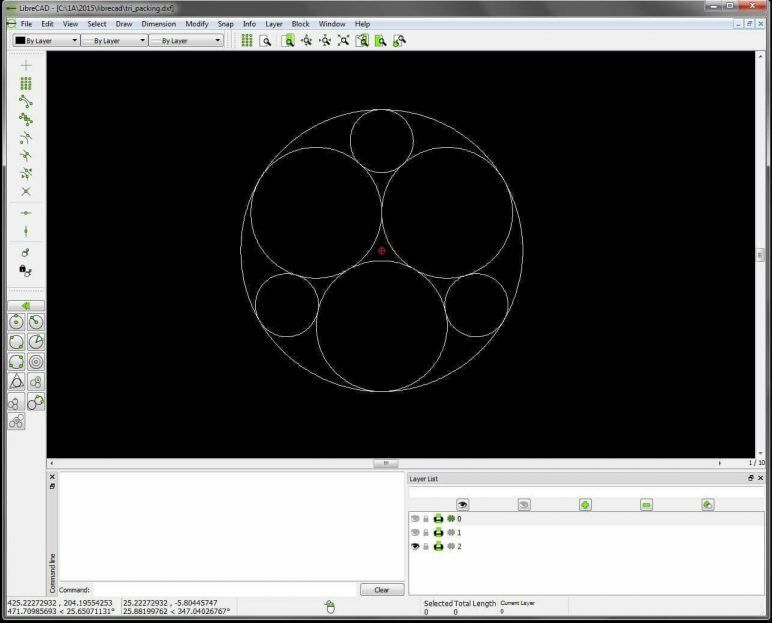 This free CAD software is even able to prepare 2D GCode for waterjet machines or laser cutters. The website includes a series of readable tutorials that will ease you into using the program. What strikes first-time users of SketchUp Free at once is the neat and tidy interface that is laid out upon a browser-based platform. There are not many buttons that can boggle beginners trying to understand the 3D modeling software. Thanks to the intuitive tools that allow navigating, and sculpting accurately in the 3D view, it is possible to create simple 3D printable models from scratch within the first few hours of learning. SketchUp users can utilize Trimble Connect, which allows them to host 3D models online, making it easy to access 3D creations remotely or collaborate with others. 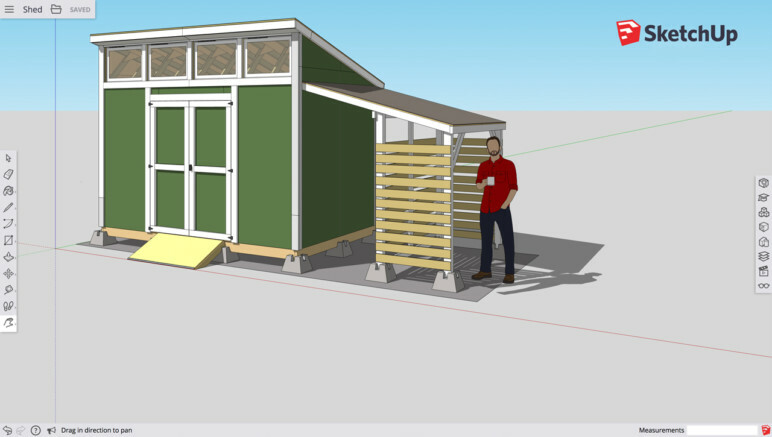 When you’re ready to move beyond the basics, you can remain in the SketchUp family with the paid version of SketchUp Pro, a more advanced platform that is tailored toward professional use. 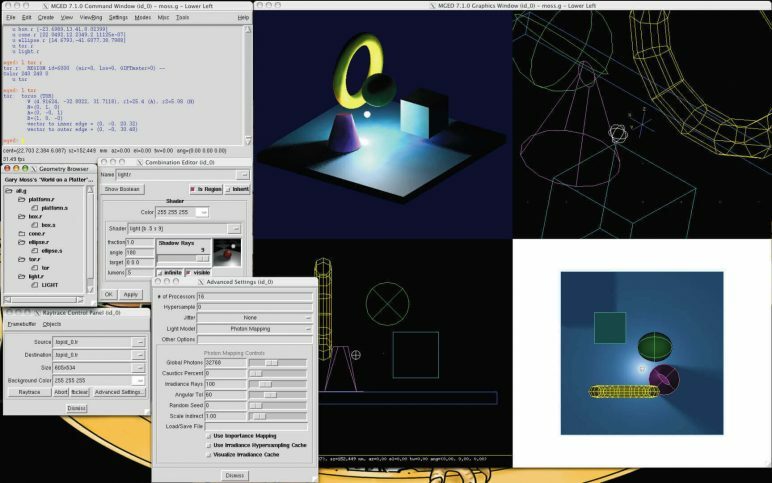 Vectary is a free and easy-to-use online 3D tool. You can customize templates or start your own project by assembling objects from a searchable library. Also, Vectary emphasizes on user collaboration as all models are saved in the cloud and can be easily shared. You can invite others to collaborate or to view your projects, and watch what friends, schoolmates or your colleagues are doing, all in real time. With the release of Vectary 3.0, free users can still have up to three personal projects, as well as use many new features such as 17 new generative tools, advanced Object list, collections in Library, dark mode and of course the new UI. Exporting projects though is now only available if you subscribe to the premium package for 9$/month. However, users can embed their 3D models for free and place them on their blog, website or client presentations. Also, students and teachers can apply for a free Educational account. Best Free CAD Software for: Intermediate to advanced users who need quick reiterations of their designs. In terms of reliability and versatility you couldn’t ask for a better free 3D graphics software. Blender has been used by professionals for creating animated films, visual effects, art, interactive applications, video games – and 3D printed models. Blender’s dizzying array of features includes 3D modeling, UV unwrapping, texturing, raster graphics editing, rigging, and skinning, fluid, and smoke simulation, particle simulation, soft body simulation, sculpting, animating, match moving, camera tracking, rendering, video editing, and compositing. Also, this free software features an integrated game engine. It is clear that such wealth of functionality comes at a price. Although Blender is free, it is by no means easy to master. Regarding modeling, it is noteworthy that Blender includes sculpting capabilities similar to commercial options like Mudbox or ZBrush. 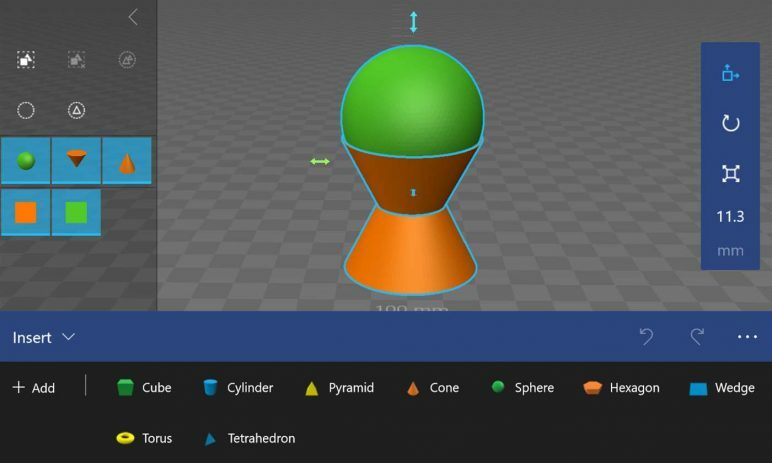 This free 3D software provides many tools and modifiers that ease the creation of meshes intended for 3D printing – including a solution to repair meshes. It is clear that such wealth of functionality comes at a price. Although Blender is free, it is by no means easy to master. Blender is not suited for beginners, but if you are not turned off by a steep learning curve, and search for one of the best open-source, free 3D modeling software, you have found it. BRL-CAD is a free open source solid modeling program that has an interesting background. The development of BRL-CAD began in 1979 when the US Army needed a CAD system to conduct ballistic, and electromagnetic analyses. However, this free CAD software is also suitable for academic, and industrial applications including in the design, and analysis of vehicles, mechanical parts, and architecture. You can either model in a GUI or in the command line – users of OpenSCAD will appreciate this. The brilliant modeling system of this free CAD software is based on CSG. In the past BRL-CAD was run on supercomputers like the Cray – today the program can run on a wide array of desktop operating systems. Tailored to 3D modelers on a budget, this free CAD software features the usual CAD modeling tools. In terms of functionality, the program keeps to the conventions of CAD software. Also, the user interface is clearly inspired by AutoCAD. So, in case you’re looking for a free alternative to that program, it’s worth to take a closer look. While the core features are free, additional functionality has to be bought. This concerns extended import/export options and rendering. Like some other programs, DesignSpark taps into online services. This allows you to download 3D models directly into the free CAD software, and have your designs printed, and sent to you. How about a fresh take on 3D modeling? Houdini is procedural CAD software that is designed around a node-based workflow. Similar to parametric modeling, this allows you to alter the entire model by changing individual parameters (nodes). This feature enables users to reuse objects and makes the program stand out from competitors like 3DS Max. But, another reason why this program is an industry favorite, is that it includes complex particle effects for fluids etc. The procedural modeling approach of Houdini allows you to quickly generate complex geometries at a constant level of quality. From carefully sculpted terrain maps to varied spaceship corridors – almost everything can be generated efficiently. That’s why Houdini’s parametric magic is a popular tool for game development and 3D animation apart from being one of the best CAD software tools. Although a free version of the CAD software (Houdini Apprecentice) is available that has all the features of the commercial product, it has some limitations that you should be aware of: You can only render up to a resolution of 1280 ✕ 720 px, third-party renderers are not enabled and every rendered image will feature a small Houdini logo. In its basic version nanoCAD is an impressive piece of free CAD software. It is yet another example that shows how one company did something right and inspired others to follow in its tracks: the user interface takes its cues from Autodesk’s AutoCAD. So switching from one to the other won’t be a problem. True to its claim to professionalism, nanoCAD supports parametric modeling, which is handy as you can revisit older designs, and adapt them to new tasks in a breeze. Moreover, it can automate a great many routine tasks. As AutoCAD, it comes with a useful spreadsheet editor. The CAD program is uncluttered, making it suitable for hobbyists, and beginners. Still, users have a rich feature set at their disposal. 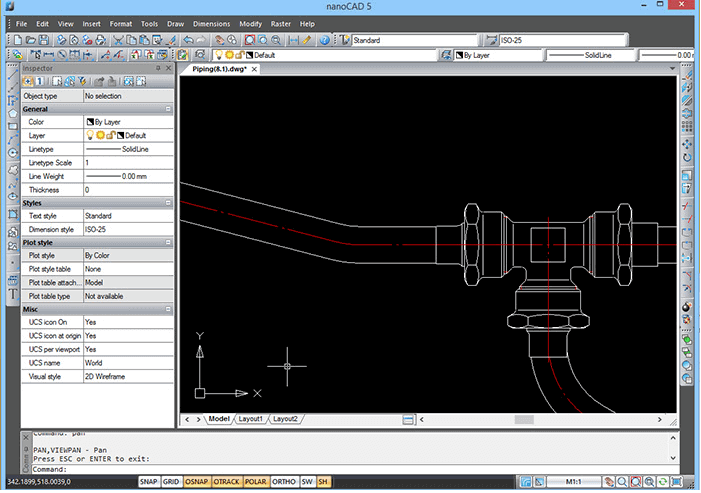 The free CAD software’s functionality can be extended by various plugins. In case your projects are more demanding, you should take a look at the Plus version of nanoCAD. One of the most interesting features of this free CAD software is its collaborative mode. Unlike installed CAD and PDM, Onshape gives everyone on the team instant access to the same CAD workspace and same CAD data in one central place in the cloud. Another nifty feature is the ability to manage a master design without the need to save copies or keep track of numerous different file versions. 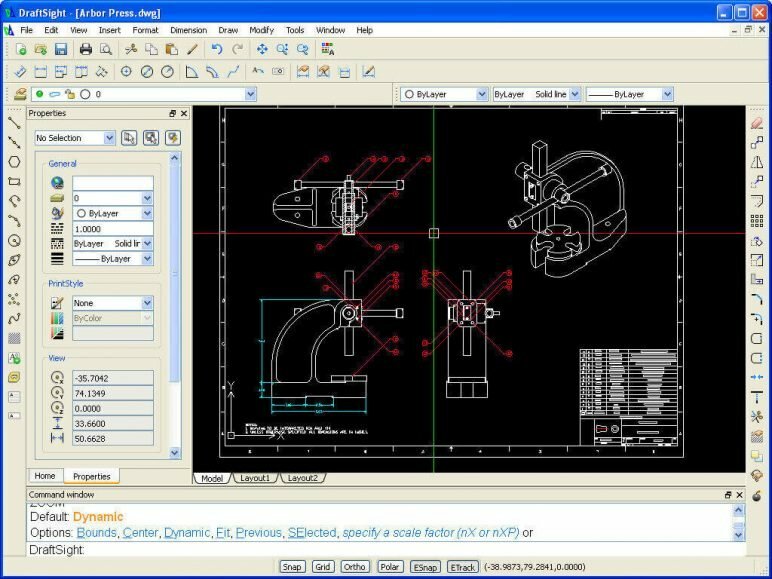 Best free CAD software for: Professional and industrial users working in teams on open-source projects. 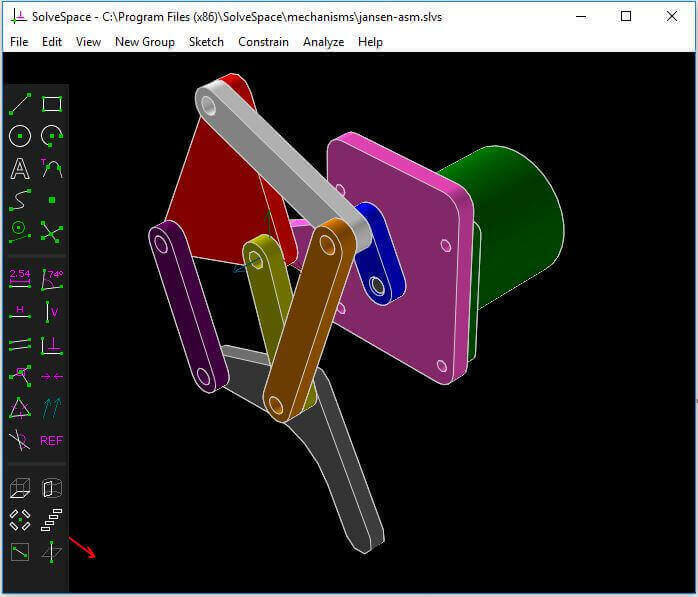 Another approach to 3D modeling software is OpenSCAD, a free CAD software for creating solid CAD objects. It is not an interactive modeler, but rather a 3D compiler based on a textual description language. 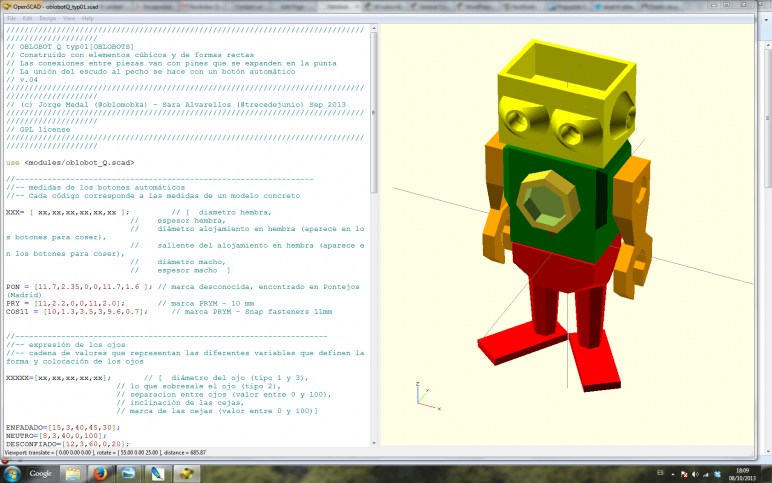 An OpenSCAD document specifies geometric primitives, and defines how they are modified, and manipulated to render a 3D model. This allows you to create 3D designs, which are defined by configurable parameters or reuse code for other projects. OpenSCAD is centered around constructive solid geometry (CSG), and extrusion of 2D outlines. Admittedly, OpenSCAD is not for everyone. But it’s a free CAD software for die-hard modeling enthusiasts, who relish in seeing in their code come to life in the 3D printer. Learn the CAD Software Lingo! The most important distinction to keep in mind is between 2D and 3D CAD software. In the olde days when designers and architects stood pen in hand at the drawing board, they designed in 2D. Early CAD software emulated this, displaying only trite top, front, and side views in 2D, and some CAD programs to this day only display 2D. Believe it or not, for functional designs many designers even prefer 2D CAD. 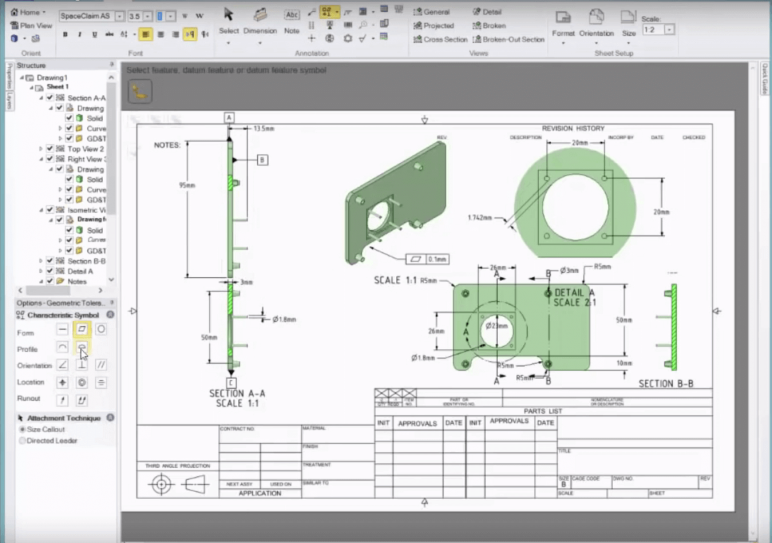 As a rule of thumb, 2D CAD software is geared towards simple technical geometry. 2D is always an abstraction of the real thing. So, it is not an ideal tool to explore many alternatives of complex designs. This is where 3D enters the picture. Only with the advances of GPUs, 3D rendering became a commonplace feature that enabled new tools that had been impossible on the drawing board. This allowed engineers and designers to create more complex geometries. The most radical development probably is 3D sculpting. 3D CAD software enables complex technical geometry, and designs since 3D representations are less prone to misinterpretation. Also, physical simulations are easier to implement and interpret. As 3D modeling grew out of 2D technical drawing the line between the two is often blurry, as most CAD programs feature modeling tools from both worlds. In our list, you will find the full spectrum of free CAD software! Many free CAD software boast solid modeling as a key feature. What’s so solid about a computer file? Solid models supply information on physical properties like the center of gravity, volume, and mass. The idea behind the solid model is to represent a given object completely to be able to physically manufacture it. Usually, you will start with primitive shapes (cubes, spheres, etc.) which you can add to, and subtract from to model your design. A surface model on the other hand only consists of a wireframe, and data describing the surface. These can be free-form surfaces like Bezier curves or NURBS surfaces, and others but it contains no information on the model’s content. Surface models are sufficient for many applications, like 3D animation, graphic design, and even 3D printing. Of course, you’re not stuck with either one or the other. Most free CAD software allows you to convert between solid, and surface 3D models. License: The text of "30 Best Free CAD Software Tools 2019 (2D/3D CAD Programs)" by All3DP is licensed under a Creative Commons Attribution 4.0 International License.